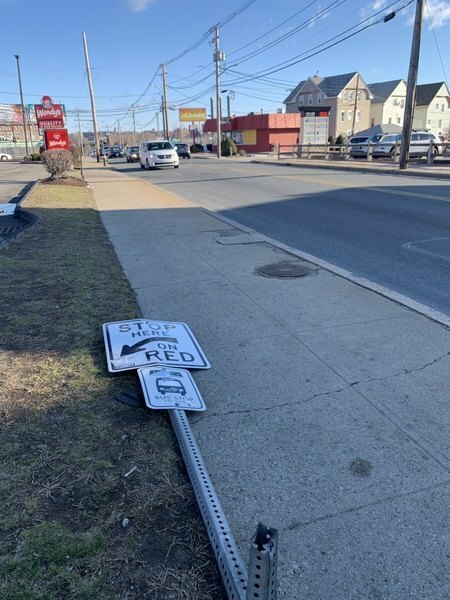 Fallen street sign. Long downed, rusty, dangerous. Former sign post has not been fully removed. Not visible. Presents danger to low visibility people. Sharp, low to the ground. From the whole length of Bogman St., from Hilton St. to Prairie Ave., is covered with 2 dozen + potholes. 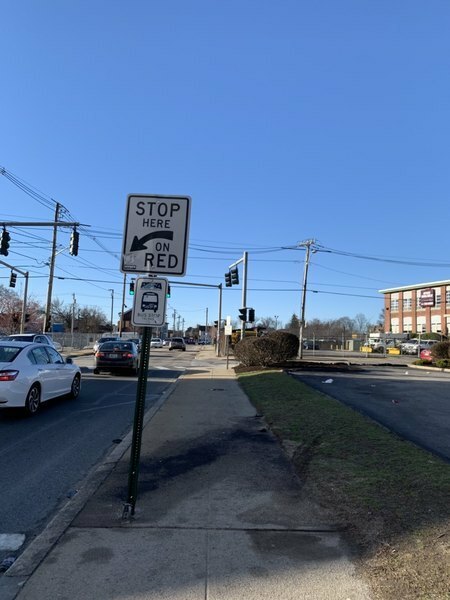 This is a high traffic street connecting the Met school, CCRI, to Priaire, and needs to be repaved along the entirety of the two blocks. Eddy street and public street Ripta bus street sign has been torn down. I type this at 5:30am....I/We have managed property in Wayland Square for 9 years and it has been a non stop issue of the big private trash removal companies breaking city noise ordinance every single week. I happen to live on Medway St for 5 years, along with 34 apartments we manage just on Medway. We all have a right to peaceful enjoyment of our homes during sleeping hours. I just videoed Waste Management drive by after they dumped a couple dumpsters at either Day One, Red Stripe, or CVS, somewhere in that section. Waste Management is just one of the companies that breaks this noise ordinance every week. If this is not the platform this complaint should be made, I apologize, but then someone please tell me where. It must stop! 6am today, Wayland Square business dumpsters all being dumped violating the noise ordinance. I haven't updated in a while but it hasn't gotten better. Private haulers continue to dump large dumpsters as early as 4:30am in the Wayland Square area, particularly on or by Medway St, Waterman St, Angell St, Wayland Av. But mostly between 5am-6am. The city ordinance on loud noise is 7am. Why aren't the police stopping them when they are driving around in this district? They are one of the only ones on these roads at those hours and you can hear the beepers on their trucks at least a half mile away. The decorative lighting on the bridge is off. It hasn't worked in the past years. Are they going to stay like that? they use to make the bridge brighter and prettier. Unfortunately, without those lights, the bridge looks dull.